It was a week of blood, sorrow and tears in Benue communities when suspected herdsmen bared their fangs on villagers in Makurdi, Logo and Ukum local government areas of the state, leading to the death of over 22 persons. The deaths came days after the 45-day military spike operation to stem killings in the state came to an end. The military exercise, code named Exercise Ayem A’ Kpatuma, which commenced on February 15, ended March 30. While the Exercise lasted, killings in the state continued unabated, prompting an outcry by the people that troops were aiding killer herdsmen to take over communities in the state. Bothered by the development, ethnic leaders in the state, through their Chairman, Chief Edward Ujege, maintained that Benue had been worse off during the period of the Exercise. He said, “the Exercise, as far as we are concerned, has achieved next to nothing; we have not felt their (troops) impact in the state and that is the truth of the matter. “Perhaps we will give it to them for aiding herdsmen and their cows to mindlessly take over our communities and destroy the food crops and barns of our helpless people. “Within the period of the Exercise, herdsmen have become emboldened, they have besieged Benue communities with impunity, and the killings have continued because herdsmen enjoy cover from the military. “If the military has a contrary view, I challenge them to present their scorecard for everyone to see. Our IDP camps have continued to swell because the people are still being attacked and they are still running away from their communities. The exercise came to an end and the invaders somewhat became even emboldened in their intensity of the siege on Benue communities which spiralled into a worrisome dimension with more villages and communities coming under severe attacks by the marauders. Communities in Logo, Ukum and Gwer West local governments were the first to taste the bitter pill of the suspected herdsmen. Their activities in Gwer West left close to 30 dead, prompting Governor Samuel Ortom to urge the people to defend themselves even with stones. 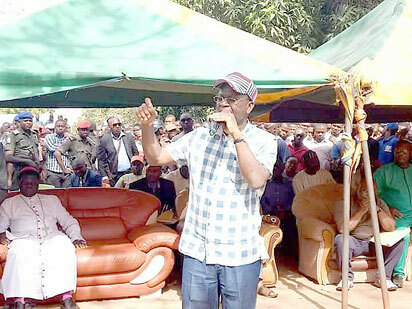 The governor, who had paid a condolence visit to the people and paramount ruler of Gwer West, Chief Daniel Abomste, asked the people to stand up and defend themselves and their land instead of taking cover in Internally Displaced Persons, IDP, camps. Addressing the people, Ortom lamented that a soldier had been killed in Guma local government area by suspected herders who engaged security men in a gun battle as they tried to repel them from attacking villages in the area. He said, “These killings would not be allowed to continue. Youths must rise up to support security agencies. David in the Bible used stone to bring down Goliath; there are stones all over the place for the youths to defend themselves. These killings are enough and we will no longer take it. “I believe in the rule of law, equity and fairness, but I cannot continue to keep IDPs and l can’t afford to have another IDP camp in Gwer West. This must stop; we must stop truncating the future of our younger generation. “When we allow laws to be violated and nobody takes actions, it leads to impunity and, when you allow impunity, it results in anarchy and lawless society. “Therefore, we, the citizens, must rise up to support security agencies by way of providing lawful and necessary logistics like information, equipment and financial support to back up their operations. “Security agents are not spared and the security challenges are enormous. The recent gruesome murder of 24 people by Fulani herdsmen in Gwer West is quite condemnable. Earlier, the traditional head of Gwer West, Abomtse, had said, “I lost a total of 212 subjects to suspected herders’ between 2011 and 2018 in 24 attacks. “These include the latest killing of 24 rural dwellers in Agagbe area. In his remark, the Chairman of Gwer West Local Government Area, Francis Iyanga, disclosed that close to 30 persons were killed and seven badly injured in the attacks on communities in the area by herdsmen that left 10 wards sacked and in ruins. The dust on the attacks had yet to die down when assailants struck again, killing a 75-year-old man and 14 others in Logo and Ukum local government areas of the state. Attacked were Gbeji in Ukum local government area, Ukemberagya/Tswarev ward, Channel One community, Orveren and Ajura villages and Tombo community in Logo local government area. According to a former aide to a former governor of Benue from one of the affected communities, “it all started two days ago but Tuesday evening, between 6pm to 9pm, was when fully armed herdsmen came down heavily on the affected communities. He continued, “They went to Gbeji in Ukum local government area and had a field day. They burnt down houses and killed about eight people in the community and injured many. “They did not stop at that; they came down to Ukemberagya/Tswarev ward in Logo local government area, at Channel One community of Tswarev clan, and killed two people, burnt down houses and one motorcycle there. “They came unchallenged from Tungwa in Nasarawa State to attack our communities and after the operation pull back or retreat to where they came from. “But before yesterday’s incident, in the last 72 hours, we have been facing attacks. Before yesterday they mounted a road block at about 2pm around an abandoned mobile barracks project at Anyiin and killed somebody there. “We just removed the corpse of the victim and deposited it at the NKST Hospital mortuary. “This is apart from the attack on Tombu ward in the same local government where four people were killed. These killings have been going on in the last 72 hours. It happens every day. “It is obvious from this development that the security personnel sent to the area are either inadequate or overwhelmed. “We appeal that more mobile police personnel are posted to our communities. We believe they are doing better because the soldiers posted to our place have not made any impact”. The victims of the latest attack on the community, among others, were identified as Mtserkyaa lgbugh, Kananfa Amarfu, Tyavyar Akau, Orfega Hiikyaa and Kanyitor Uor while the 75-year-old’s identity was yet to be ascertained. Confirming the attack, Benue State Police Commissioner, Fatai Owoseni, said, “There was an incident in Gbeji and we are investigating. Among the victims of the attacks on Igbougher Mbavuur and Tse-Wadr communities in Logo local government area, where five persons were reportedly killed, was 70-year-old Uhaen Ndiisaa, mother of a former Peoples Democratic Party, PDP, Chairman in the area, Mr. Terhemen Ndiisaa. 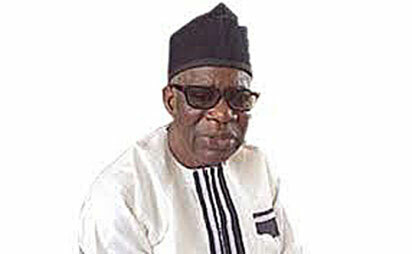 In his account of the crisis, Terhemen Ndiisaa told Sunday Vanguard on phone, “The herdsmen attacked my community, Igboughur Mbavuur, around 10pm killing two persons. “This time they did not burn down houses but resorted to breaking into houses but luckily many were able to escape after they heard sporadic gunshots. “Unfortunately my mother was shot while she was fleeing but she is alive and many others also sustained injuries. On the attack on Agboughul village, a suburb of Makurdi, leading to the death of two persons, a resident told Sunday Vanguard that suspected herdsmen stormed the community located close to River Benue on Thursday afternoon. “They came in the afternoon and started shooting during which they killed a man who went to dig a well on a plot of land and another. “The remains of the dead were moved on a motorbike to the ‘D’ Division Police Station in Makurdi by angry youths who almost went on the rampage. When contacted, the Police Public Relations Officer, Assistant Superintentdent Moses, ASP, Moses Yamu, who confirmed the development, said the state Police Commissioner, Fatai Owoseni, led policemen to the community. The post Stones versus AK47 rifles! appeared first on Vanguard News.